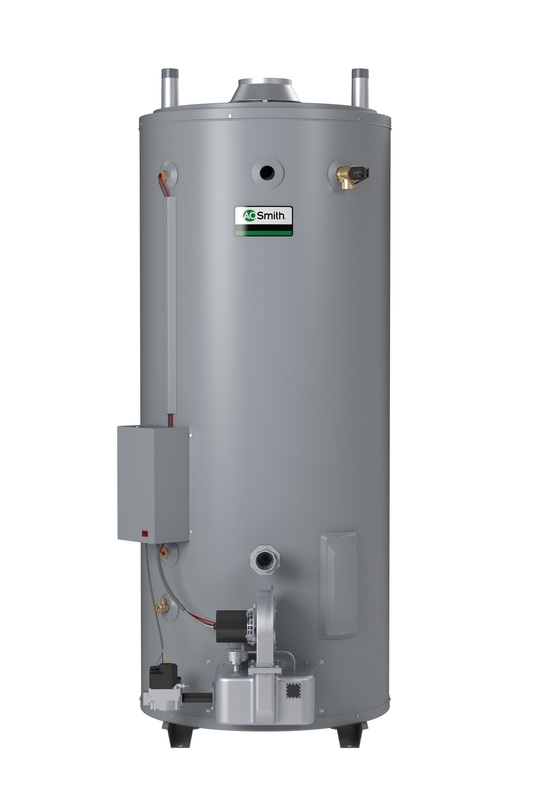 Leading water heater manufacturer, A. O. Smith is expanding its line of high efficiency residential gas tankless water heaters with the compact 120,000 BTU/h Condensing Tankless Water Heater. Measuring at less than two cubic feet and scoring .93 Energy Factor (EF), the new 120k Condensing Tankless efficiently utilizes energy and installs on the wall freeing up valuable floor space. A. O. Smith, (www.hotwater.com) the leading innovator in water heater technology, (www.hotwater.com), has introduced a commercial water heater that combines compact, easy-to-install size with low nitrous oxide emission technology. The Master-Fit ultra-low NOx gas water heater, for sale only in California markets, is the shortest commercial water heater in its class.